Senator George Mitchell's delivered the keynote address at the annual meeting of the Natural Resources Council of Maine, where he discussed the environmental issues confronting the planet and all its inhabitants. In a long and distinguished career of public service, Senator Mitchell represented Maine in the U.S. Senate from 1980 to 1995. He led the successful 1990 reauthorization of the Clean Air Act and was the author of the first national oil spill prevention and cleanup law. His accomplishments extend far beyond the environment and the U.S. Senate. He served first as Special Advisor to President Clinton on Ireland and later as the independent chairman of the Northern Ireland Peace Talks. The peace talks resulted in the Good Friday Agreement on April 10, 1998, which ended decades of conflict in Northern Ireland, between Northern Ireland and the Republic of Ireland, and among the countries of Great Britain. 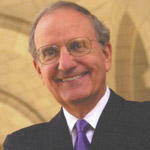 Senator Mitchell is chairman emeritus of DLA Piper, one of the largest legal services firms in the world. He is also the founder of the Senator George J. Mitchell Scholarship Research Institute. Each year, the Portland-based institute awards scholarships to one graduating student from every public high school in Maine. More than one-third of Mitchell Scholars are first-generation college students. This talk was recorded September 23, 2011 at USM in Portland. 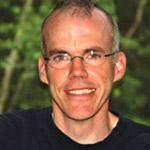 Noted environmental scholar, journalist and activist Bill McKibben spoke about his work in helping local communities find new ways to consume energy in the face of global warming. 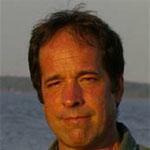 Curt Stager - "Climate Whiplash: What happens after global warming?" The University of Maine recently hosted a talk, 'Climate Whiplash: What happens after global warming? ', by Curt Stager, a paleoecologist, educator, Science Journalist and author of Deep Future: The Next 100,000 Years of Life on Earth. His talk is about the very long-term effects of global warming. 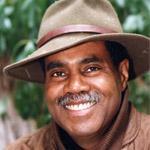 Steve Curwood, Executive Producer and Host of Public Radio International's Living on Earth, delivered the keynote address at Coastal Enterprises Inc.’s 36th annual meeting. Curwood covered what he called the “Three C’s” – creatures, chemicals and climate change. 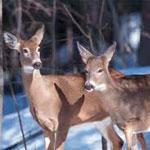 This talk was recorded March 11, 2014 at Thorne Hall on the campus of Bowdoin College. Lyme disease is on the rise. Warm winters create an inviting climate for ticks, which in turn has led to more cases of Lyme disease in Maine. 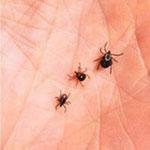 What you need to know about Lyme Disease.